An Early Byzantine Christian basilica has been discovered during archaeological excavations the city of Veliko Tarnovo in Northern Bulgaria, southeast of the fortress wall of the Tsarevets Hill Fortress, in the so called Frenkhisar, or the “Frankish Quarter", of Tarnovgrad, the capital of the Second Bulgarian Empire (1185-1396 AD). The ruins of the previously unknown Christian temple from the early period of the Byzantine Empire have been found by the team of Prof. Hitko Vachev from the Veliko Tarnovo Regional Museum of History. The discovery has been announced by Ivan Tsarov, Director of the Veliko Tarnovo Regional Museum of History, as cited by the Trud daily. 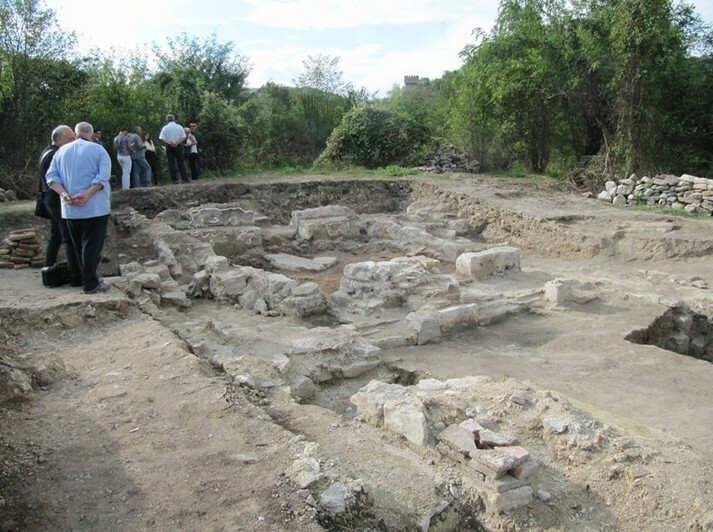 The Early Byzantine basilica has been found not far from the spot where in 2014 Vachev discovered the ruins of a Bulgarian monastery from the 13th century, the height of the Second Bulgarian Empire. “Expanding the sector of the excavations around the [monastery] church, Prof. Vachev has stumbled upon an Early Byzantine basilica. We did not expect that even though the medieval [monastery] church did have several Antiquity architectural fragments such as pillars and a capital," Tsarov explains. He points out that the medieval Bulgarian monastery found in 2014 by Vachev, which was called Monastery of the Mother of God (Virgin Mary), has yielded medieval graves with rich funeral inventories, and apparently played an important role in the life of the capital of the Second Bulgarian Empire. It is yet unclear if there was any direct connection between the Bulgarian monastery from the 13th century AD, and the Byzantine basilica from the Late Antiquity whose ruins have just been found nearby. Tsarov, however, says that the discovery of the Early Byzantine basilica is a serious achievement on part of the archaeologists of Veliko Tarnovo. Because of this new discovery, the local archaeologists will not be able to gather important information about the history of Veliko Tarnovo not only in the Middle Ages but also in the Antiquity period which is relatively unknown. “The funding for excavations allocated by the state was a lot less compared with last year. This has led us to reduce the scope of our research. I received no [government] funding for the site that I am working on, the [Ancient Roman] city of Nicopolis ad Istrum. Veliko Tarnovo Municipality allocated a small sum to support this research but I gave this funding to my colleague, Prof. Vachev," Veliko Tarnovo Museum Director Ivan Tsarov states, referring to Vachev’s continuing work on his 2014 discovery. In August 2015, the team of Hitko Vachev found the dining room of the monastery in question. Its ruins are located to the southeast of the fortress wall of the Tsarevets Hill Fortress, in the so called Frenkhisar, or “Frankish Quarter", of the capital of the Second Bulgarian Empire Tarnovgrad. 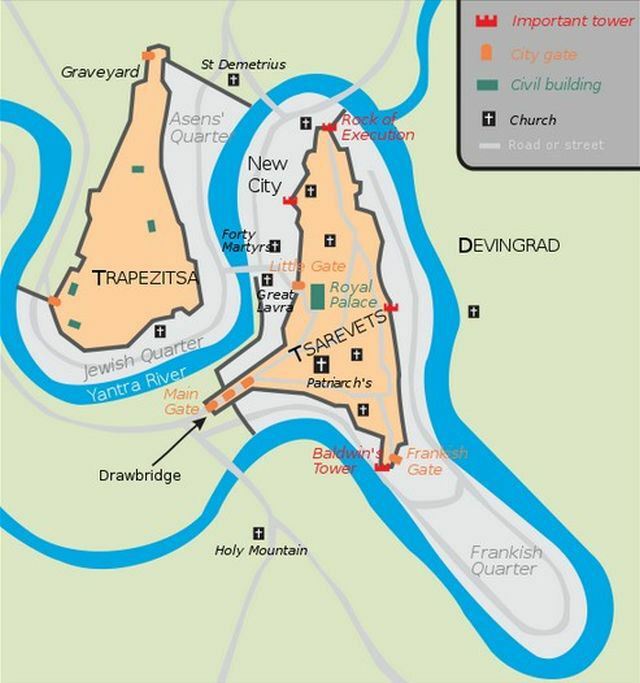 While it had long been believed that the Frankish Quarter’s name stemmed from the fact that during the High and Late Middle Ages it was populated by Western European merchants trading in the Bulgarian capital Tarnovgrad, in 2010 Veliko Tarnovo archaeologist Evgeni Dermendzhiev carried out excavations there and found no evidence of Western European presence. Instead, he discovered that in the High and Late Middle Ages the quarter was inhabited by Bulgarian craftsmen who specialized in metallurgy and especially in iron production. The relics of St. Ivan Rilski (St. John of Rila), who is Bulgaria’s patron saint, were kept in Veliko Tarnovo until 1469 AD when they were transported to the Rila Monastery where they are kept to this day in what became a major event for the Bulgarians during the early period of the Ottoman Yoke (1396-1878/1912), as the Second Bulgarian Empire had been conquered by the invading Ottoman Turks in 1396 AD. The numerous and richly decorated small churches indicate that the Trapesitsa Hill harbored the homes of the medieval Bulgarian nobility, the boyars, and the supreme clergy. More recent excavations, however, also indicate that the imperial palace of the early Bulgarian Tsars from the House of Asen (the Asen Dynasty, r. 1185-1257 AD) was in fact located on the Trapesitsa Hill, and the imperial seat was possibly moved to the nearby Tsarevets Hill only later, during the reign of Tsar Ivan Asen II (r. 1218-1241 AD). In the recent years, the Trapesitsa Hill has been excavated by Prof. Konstantin Totev from the Veliko Tarnovo Branch of the National Institute and Museum of Archaeology of the Bulgarian Academy of Sciences, and by Prof. Hitko Vatchev from the Veliko Tarnovo Regional Museum of History.